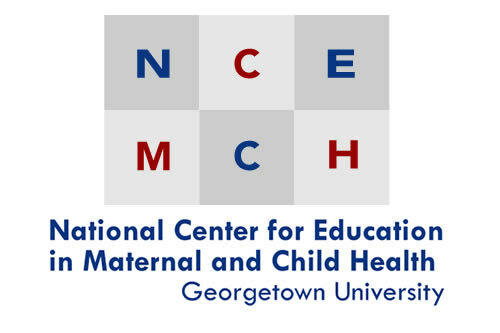 Georgetown University's MCH Navigator is pleased to work with the Association of Maternal and Child Health Programs (AMCHP) in development of this list of online trainings and resources for use by the Title V workforce in addressing cultural and linguistic competency as a way of addressing health disparities, health equity, and removing barriers to care. Cultural Competence and Global Leadership. Date Developed: 1/1/2011. Source: Maternal & Child Health Public Health Leadership Institute. Presenter(s): David Steffen, Ph.D., Virginia Suarez, Ph.D. Type: Narrated Slide Presentation. Level:Introductory. Length: 60 minutes. Cultural Diversity, Health Disparities and Public Health. Date Developed: 12/28/2007. Source: Alabama Public Health Training Network . Presenter(s): Lisa C. Gary, PhD, MPH. Type: Video Webinar. Level: Introductory. Length: 90 minutes. Health Care Beliefs and Practices among Native American Patients. Date Developed: 10/19/2010. Source: National Public Health Performance Standards Program (NPHPSP) User Call Series. Presenter(s): Rick Haverkate, M.P.H.. Type:Webinar Archive. Level: Intermediate. Length: 60 minutes. Infusing Cultural and Linguistic Competence into Health Promotion Training. Date Developed: Unknown. Source: National Center for Cultural Competence. Presenter(s): Suzanne Bronheim, PhD; Tawara Goode. Type: Video. Level: Introductory. Length: 90 minutes. Roots of Health Inequity. Date Developed: 1/2011. Source: The National Association of County and City Health Officials (NACCHO). Presenter(s): n.a.. Type: Online Course. Level: Introductory. Length: 120 minutes. For more trainings on cultural and linguistic competency, see all Cultural and Linguistic Competence Trainings in the MCH Navigator couse catalog. Racial and Ethnic Disparities in Health Knowledge Path. Directs readers to a selection of current, high-quality resources about preventing, identifying, and eliminating racial and ethnic disparities in health. Health professionals, program administrators, policymakers, and researchers can use this knowledge path to learn more about health disparities, health equity, and removing barriers to care; for program development; and to locate training resources and information to answer specific questions. Culturally Competent Services Resource Brief. Directs readers to the key national websites that cover cultural and linguistic competency and connects them to other NCEMCH resources on related topics such as minority health organizations and translation tools. U.S. Office of Minority Health, Center for Linguistic and Cultural Competence in Health Care. 2011. Think cultural health. Washington, DC: U.S. Office of Minority Health, Center for Linguistic and Cultural Competence in Health Care. Goode TD. 2010. A guide for using the Cultural and Linguistic Competence Family Organization Assessment Instrument. Washington, DC: National Center for Cultural Competence, 28 pp. Bronheim S, Dunne C, Goode T. 2009. Rationale for cultural and linguistic competence in Maternal and Child Health Bureau-funded training programs. Washington, DC: National Center for Cultural Competence, 4 pp. Martinez K et al. 2010. A systems of care team guide to impementing cultural and linguistic competence. Washington, DC: Technical Assistance Partnership for Child and Family Mental Health, 14 pp. Goode T, Jones W. 2007. A guide for advancing family-centered and culturally and linguistically competent care. Washington, DC: National Center for Cultural Competence, 23 pp. Goode TD, Jones W, Dunne C, Bronheim S. 2007. And the journey continues... Achieving cultural and linguistic competence in systems serving children and youth with special health care needs and their families. Washington, DC: National Center for Cultural Competence, 56 pp. Summit Health Institute for Research and Education with Out of Many One, Campaign for the Elimination of Racial and Ethnic Disparities. 2004. Building coalitions among communities of color: A multicultural approach. Rockville, MD: U.S. Office of Minority Health, 96 pp.